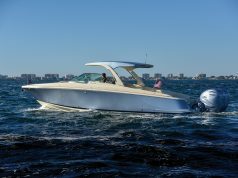 The Ocean5 Naval Architects 27′ Stuart Boatworks Technology Demonstrator (26’10” LOA, 8’8″ beam) showcases the latest technology in a top-flight center console. 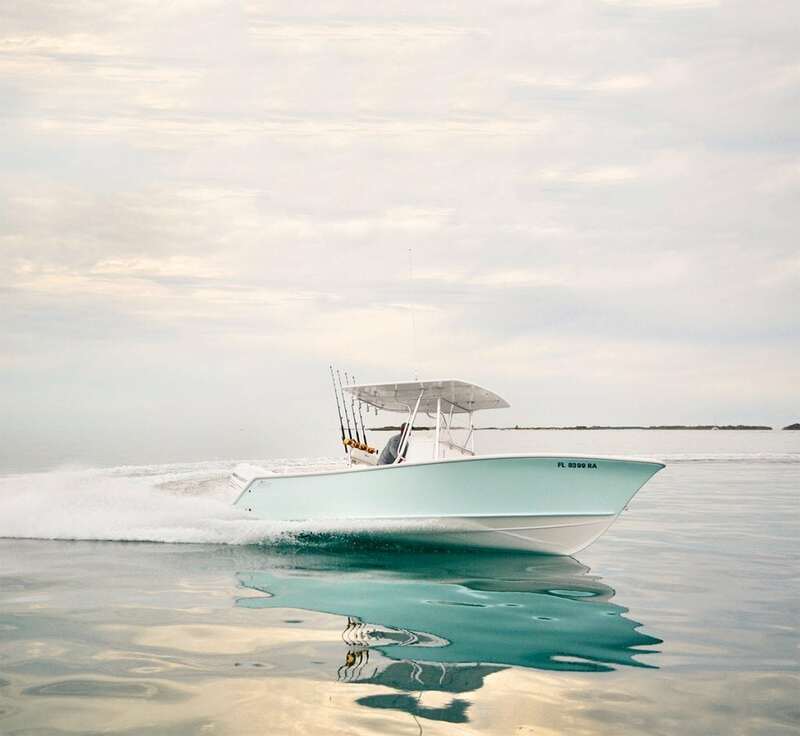 The technology aboard the boat includes virtual anchor via Seastar Optimus 360 Joystick steering, and GPS station keeping and roll-stabilization with a Seakeeper SK3 Gyro. 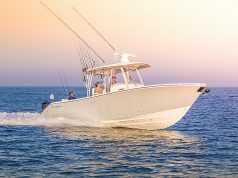 Other features include a Lenco Auto Glide system and dual 400W solar array with C-Zone networked 17-inch Garmin chart plotter. 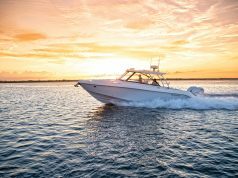 Twin 200-hp Mercury outboards power the hull to a top speed of 48 mph, with a 37-mph cruising speed and a range of 300 miles.